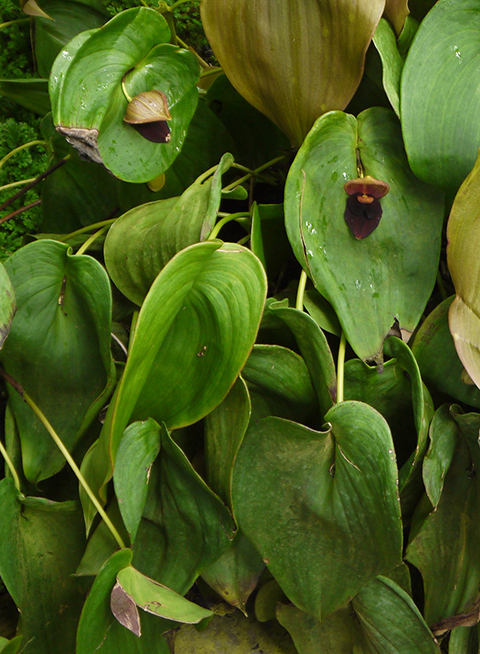 Pleurothallis gargantua in closeup. The flowers measure 1" across by 3" long. 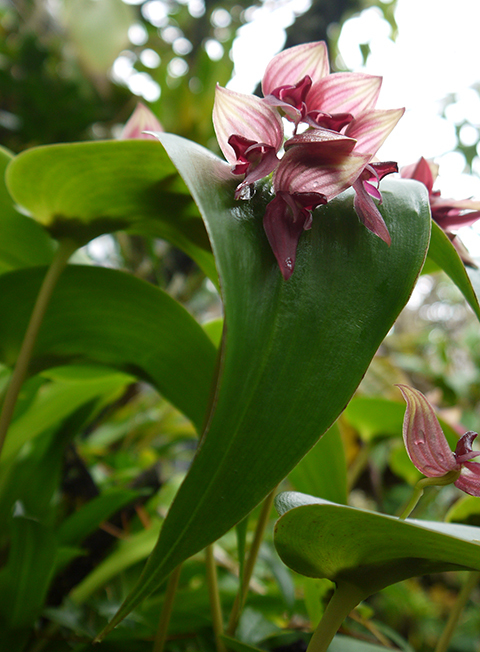 Now is a great time to catch an amazing flush of flowers on the Pleurothallids in the Tropical High Elevation House. 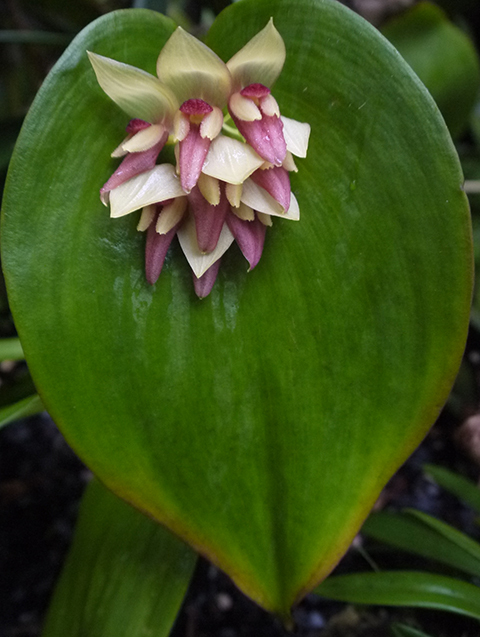 Pleurothallis gargantua planted in the ground in the Tropical High Elevation House. 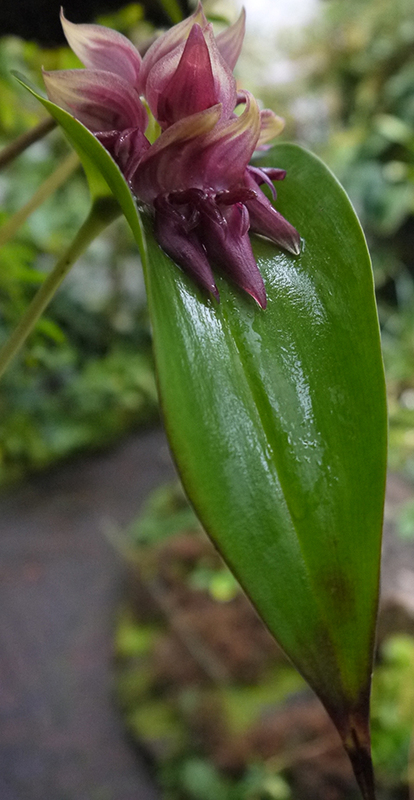 Pleurothallis marthae can be grown as an epiphyte or as a terrestrial. 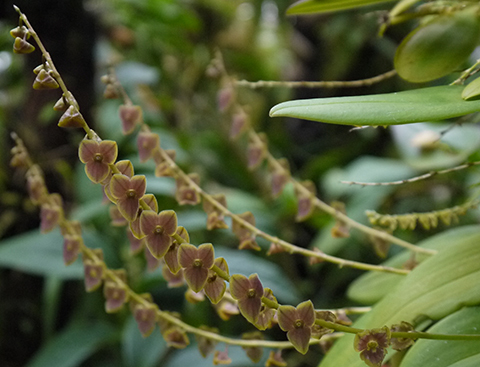 All of the Pleurothallids pictured above belong to my favorite section of the genus Pleurothallis, the Macrophyllae-fasciculatae, colloquially known as the clamshell Pleurothallids. Not all Stelis are micro miniatures. 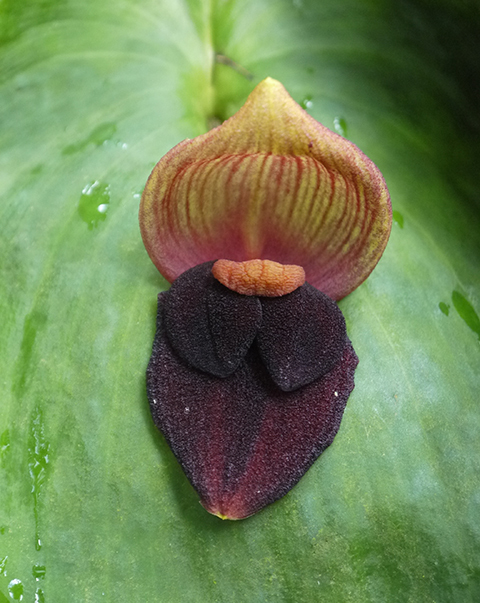 This species produces flowers 1/2" diameter--huge for a Stelis. I love it when the Pleurothallids steal the show!